Ask a living testator for a copy of his will. He may -- but need not -- agree. Some states permit residents to file a last will and testament with the court for safekeeping, but even a filed will remains private during the testator's life. In most jurisdictions, a testator seals a will before filing it, and it remains sealed until his death. On the other hand, the testator provides copies to anyone he wishes, so you lose nothing by asking. Obtain the probate file number to view the will of a deceased testator. Ask the executor if you know her. Alternatively, call the superior court in the jurisdiction in which the testator lived. Ask about their probate file procedures. Some courts -- Los Angeles, for example -- operate a special automated probate telephone line. Call the number and provide the name of the deceased and date of death to obtain probate file information. Other courts list probate information on the Internet. Still others require a visit to the courthouse during business hours. Go to the courthouse. 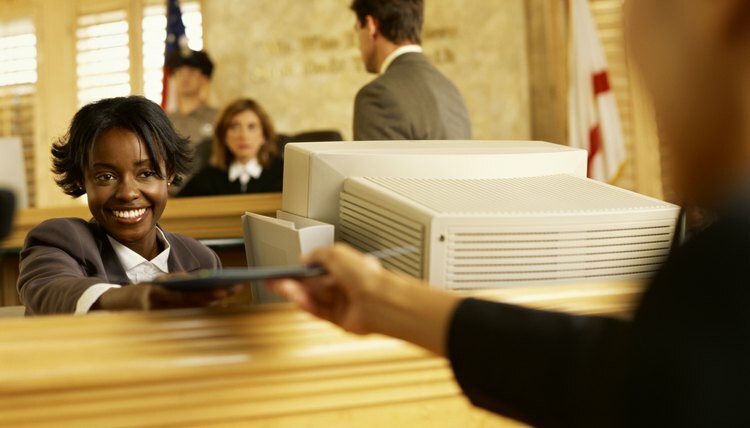 Some courts have separate probate clerks but many combine all civil files. Ask if you are not sure. Find the appropriate court clerk and present the probate file number if you obtained it from a dedicated telephone line or the Internet. Alternatively, present the name and date of death of the deceased. The court clerk retrieves the file and permits you to review it either at the clerk's window or in a separate reviewing area. The will is one of the first documents in the file. Request a copy and pay the small per-page copying fee. Search through probate records in the courthouse to find older wills. The court clerk will explain the procedure for locating the archived will. In some courts, the clerk locates the will for you. In others, the clerk sends you to an index -- generally alphabetical or by date -- and you access the information for yourself. The will may be in original form or in microfilm. Review it and request copies. A last will and testament is the final comment of the deceased on her life. You review a will to note that comment, to ascertain if you are among the heirs or out of simple curiosity. During the testator's lifetime, you cannot read the will without her permission; it is legally a private and personal document. After the testator dies, however, the will executor files the testament in probate court and any member of the public reviews it at the court clerk's office. Can You Get a Copy of a Will Before Someone Dies?